Our Mission: To worship, love and live in the power of God's love and mercy. To shine the light of God's love that others may see to find and follow him. 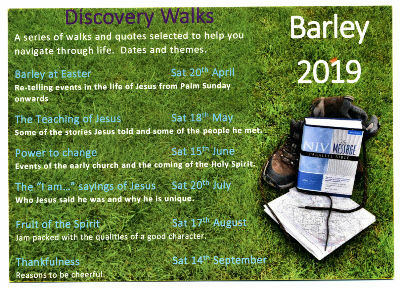 Barley Methodist Church is a small Methodist Chapel nestling at the foot of Pendle Hill in the heart of a beautiful village. 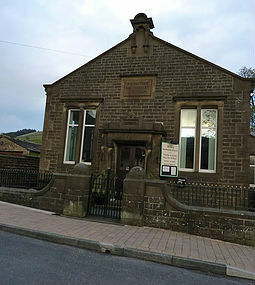 It is the only place of worship in the village, attractively positioned opposite one of the main paths up Pendle Hill. As well as its symbolic importance – offering light in an area where there is much talk (both light-hearted and more serious) of witchcraft - the small congregation make a point of welcoming all age groups, and are actively pursuing both child friendly and dementia friendly initiatives. Anyone wishing to book the Chapel for parties, away days, or other functions please contact Angie Hargreaves or the Minister.